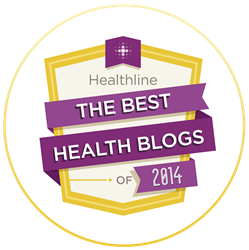 As 2014 draws to a close, I’ve been thinking a lot about the pressure caregivers feel to be perfect. 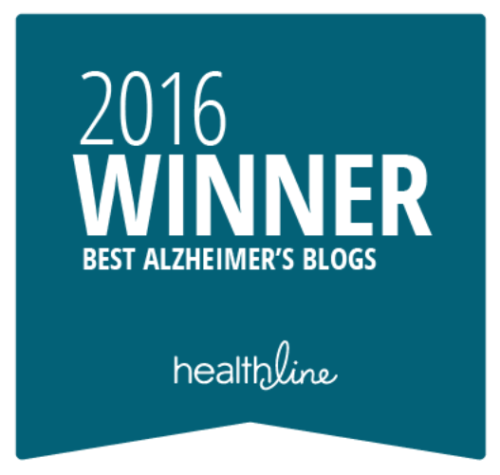 I see this on a regular basis through my role as co-moderator of the USAgainstAlzheimer’s online support community. Family members find themselves drowning in guilt because they’ve set unreasonably high expectations for themselves; often these expectations are so lofty that no human being could possibly live up to them. I think an admirable goal for 2015 is to be more gentle with yourself. Pay attention to your self-talk, and when you realize you’re beating yourself up, make a conscious decision to S-T-O-P. I know it’s easier said than done, but try and have faith in the decisions you make, for there is no doubt you are doing the very best you can. As don Miguel Ruiz reminds us in The Four Agreements, your “best” will be different from day to day, perhaps from hour to hour. When you are sick with a winter cold or exhausted due to lack of sleep or simply at your wit’s end, your best will be different from when you are feeling 100%. That is a fact, and that, my friend, is okay. Here are four things I hope you’ll consider in the coming year. Join a support group. 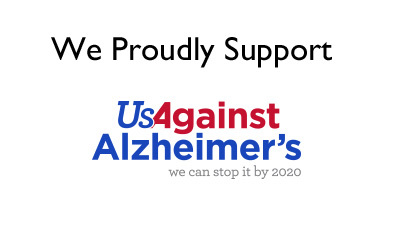 Check with your local Alzheimer’s Association chapter or look into an online support community like the USAgainstAlzheimer’s Facebook Community. There is immeasurable comfort in simply knowing you aren’t alone. I resisted seeking support during my mom’s illness, and by doing so, I shouldered more on my own than I needed to. 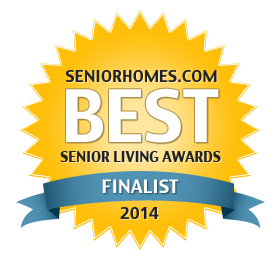 If you care for a loved one at home, seek respite. There is no shame in caring for yourself. In fact, it’s a necessity. Your ability to do what’s best for your loved one depends on your own physical, emotional, and mental wellbeing. 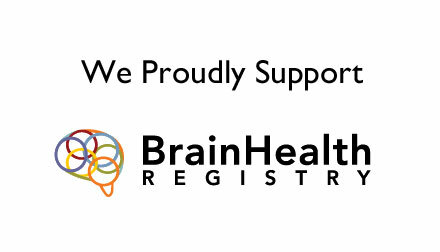 The National Respite Locator is a wonderful place to start when searching for assistance. 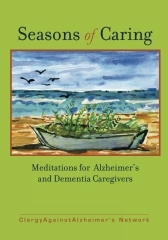 Check out Seasons of Caring: Meditations for Alzheimer’s & Dementia Caregivers. 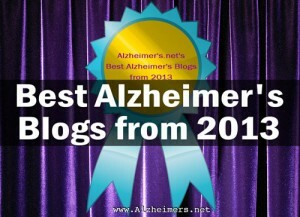 This one-of-a-kind book was recently published by ClergyAgainstAlzheimer’s (CA2). Available for only $3.99 on Kindle and less than $15 in a lovely paperback edition, all proceeds benefit CA2 in their work to support caregivers and stop Alzheimer’s. This interfaith book contains over 140 original meditations by 70 leaders in the faith community, care specialists, and caregivers. 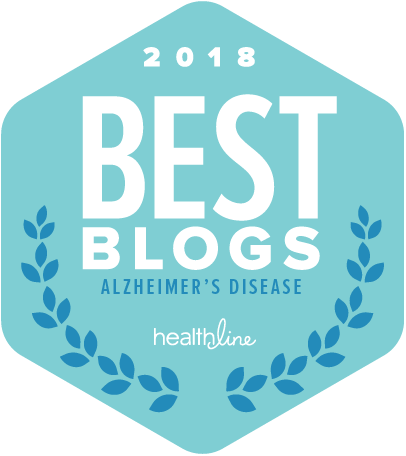 I’m proud to be a contributor to a book I believe will provide infinite amounts of hope and encouragement to dementia caregivers around the world. 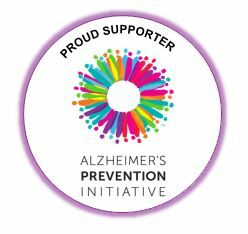 Do something to raise awareness or support other caregivers. 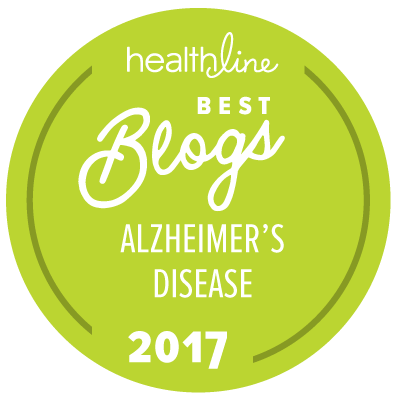 Whether you simply share an article on social media or write a blog post, participate in your local Walk to End Alzheimer’s, or offer support to a fellow caregiver online or in person, paying it forward will give you a sense of purpose. 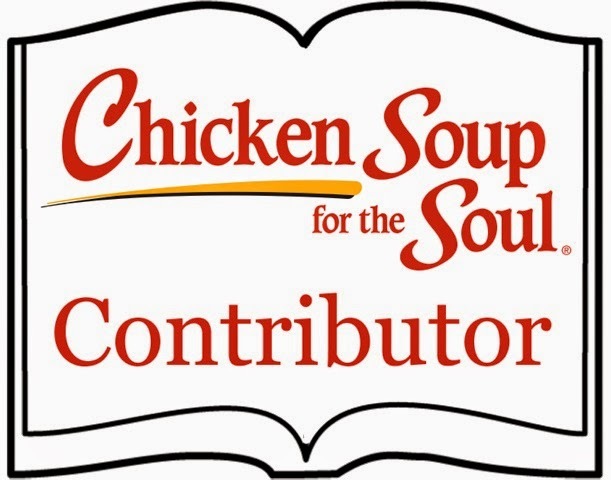 The single thing that has helped me most in this journey has been reaching out to others. I wish each and every person who visits this page a blessed 2015. May you find support, comfort, and peace of mind in the coming year.